"Glorious News. Lincoln and Seward Assassinated! 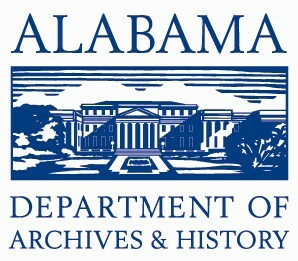 Lee Defeats Grant. Andy Johnson Inaugurated President." Erroneous dispatch originally published in the Demopolis Herald on April 19, 1865 (shown here reprinted in the Alabama Beacon on April 21). 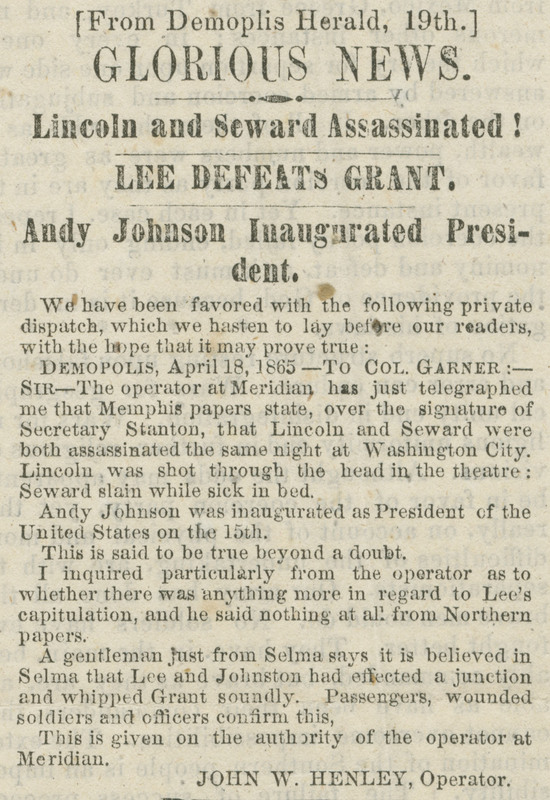 While correctly announcing the death of Lincoln and the inauguration of Johnson as president, it reports that Secretary of State Seward was killed as well; in fact, that assassination attempt was not successful. The piece also mentions a rumor from Selma, Alabama, "that Lee and Johnston had effected a junction and whipped Grant soundly. Passengers, wounded soldiers and officers confirm this." The news was sent by the telegraph operator in Meridian, Mississippi.